Last month, the potential winners for the Olivier Awards 2018 with Mastercard were announced. And it’s a big year. 43 incredible shows have been nominated, including Hamilton – which has broken all previous records with 13 nominations. Jez Butterworth’s epic thriller received 8 Olivier Award nominations including Best New Play, Best Director, and five nominations for acting. 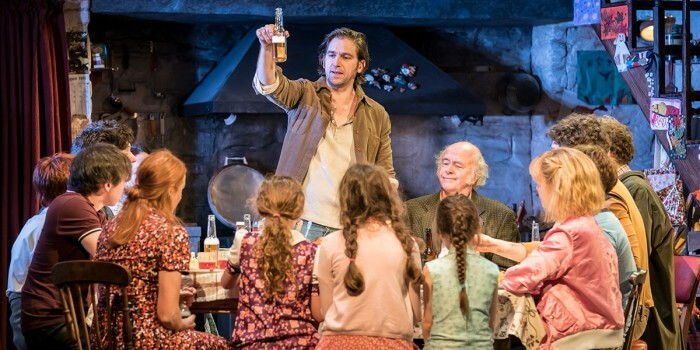 Based in rural Derry in 1981, The Ferryman takes place over one day in the Carney farmhouse. As the family prepare for the annual harvest celebration, tensions rise as a surprise visitor brings news which unearths dark secrets which will change the family forever. Though The Ferryman has been extended multiple times, don’t rest on your laurels. The Gielgud Theatre run must end on 19 May 2018 so you don’t have long to catch it. Get your tickets here. 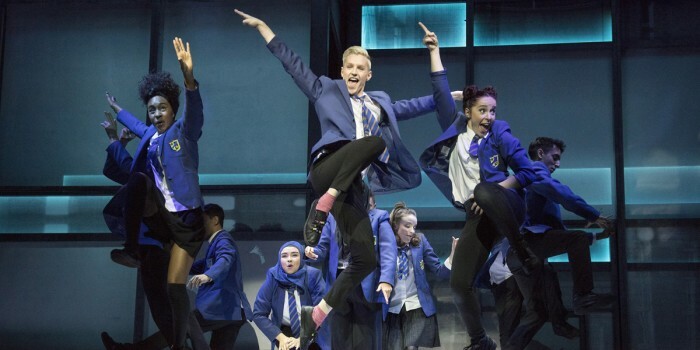 The fearless, funny and fabulous new musical about a 16-year-old boy with a secret to tell and dreams to realise has won the hearts of everyone who’s seen it. And with 5 nominations, including a Best New Musical nomination, we reckon you should see it sooner rather than later. Centred on Jamie New – a bullied teen who doesn’t quite fit in on his Sheffield council estate and tries to realise his ambitions with the support of his loving mum and brilliant friends – Everybody’s Talking About Jamie is a tale of triumph and self-belief. It’s a show about positivity and inclusion – exactly what the world needs right now. Currently booking until 6 October, you have plenty of time to see this show. But as everybody’s already talking about it, don’t be late to the party. Get your tickets, now. Seeing as it’s based on an Oscar-nominated film, it’s no surprise the new musical adaptation of the classic comedy received 3 Olivier Award nominations. The eccentric re-imagining of the Mary Shelley classic follows the grandson of Victor Frankenstein, Dr. Frederick Frankenstein (pronounced ‘Fronk-en-steen’). When Frederick inherits a castle in Transylvania, he follows his grandfather’s footsteps and tries to bring a corpse back to life. With help and hindrance from hunchback henchman Igor, buxom assistant Inga and the needy Elizabeth, his experiment yields madcap success and life-changing consequences. See Mel Brooke and Gene Wilder’s hilarious 1974 film come to life, booking until 29 September. Get your tickets, here. This show takes all-singing, all-dancing to a whole new level. The revival of the iconic musical received 3 nominations including Best Choreography, Best Costume and Best Revival of a musical. Don’t tap your feet umming and arring, tap that mouse instead! 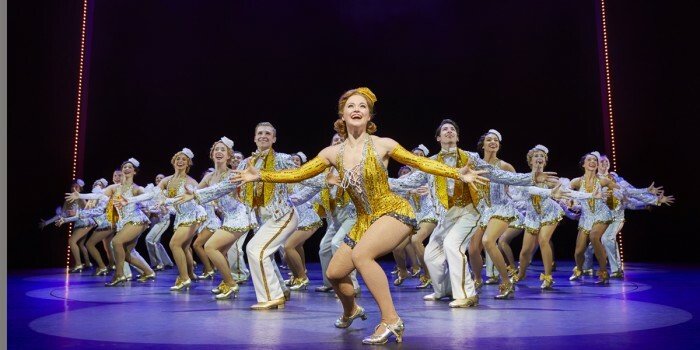 42nd Street is booking until 20 October. Get your tickets, here. 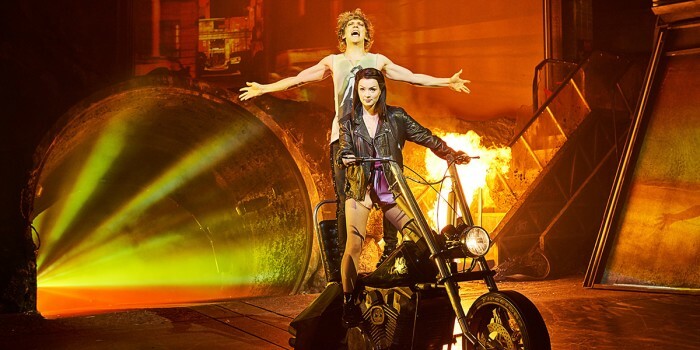 Following a critically-acclaimed run at London Coliseum, Bat Out Of Hell – The Musical is now well and truly rocking the West End at the Dominion Theatre. Set to a soundtrack comprising songs from Meat Loaf’s best-selling albums Bat Out Of Hell and Bat Out Of Hell 2, the new musical from Jim Steinman tells the story of Strat and Raven in a post-apocalyptic world. You can join the 500,000 people who have seen the spectacular show thus far, with previews for the show well underway. Get your tickets, here. 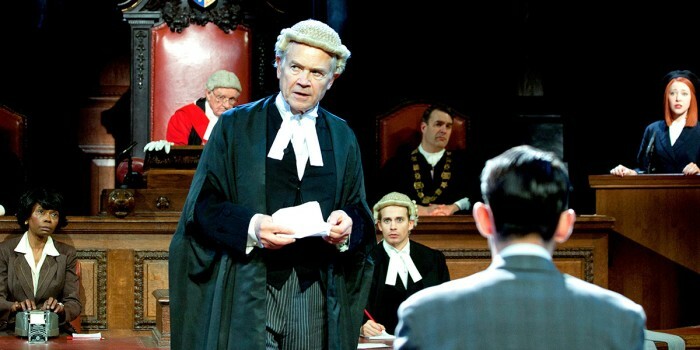 This production of Agatha Christie’s gripping tale takes place in a courtroom setting inside London’s County Hall giving the audience a unique theatrical experience. While thrillingly placed in the thick of the action, the audience will see a case unfold before them. Leonard Vole is accused of murdering, Emily French, to inherit her wealth. With shocking witness testimony, from where he expects them least, will he be able to convince the jury of his innocence? Book your tickets to this gripping show, nominated for Best Revival and booking until 31 March 2019. Eugene O’Neill’s Pulitzer prize-winning masterpiece, Long Day’s Journey Into Night, is often touted as one the most powerful American plays in the 20th century. And with Jeremy Irons and Lesley Manville starring in Richard Eyre’s West End production, it’s a must-see. The unashamed autobiographical account of Eugene’s life, Long Day’s Journey Into Night takes place in the Tyrones’ summer home in August 1912. Haunted by the past but unable to face the present, the Tyrones and their two sons test the familial bonds. Playing until 8 April, there’s not much time to catch this powerful piece. Get your tickets, now. It’s swept Americans off their feet and us Brits have responded in the exact same way. 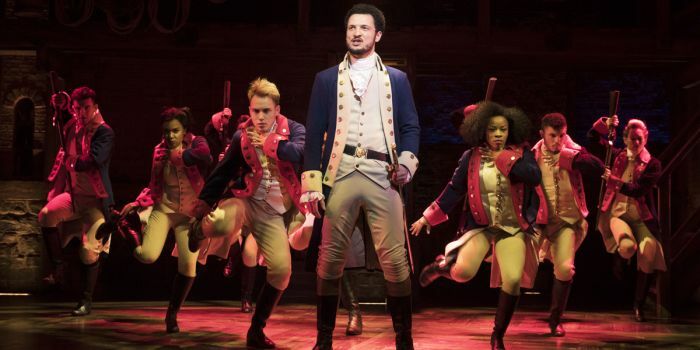 Everyone’s talking about Lin-Manuel Miranda’s sensational rap musical about Founding Father Alexander Hamilton, and the talented people bringing it to life. Out of the 13 nominations, 6 were for acting – with Giles Terera, Jamael Westman, Rachel John, Michael Jibson, Jason Pennycooke and Cleve September being nominated – in addition to nominations for Best Director, Best Lighting Design, Best Costume Design, Best Sound Design and Best Theatre Choreographer. It’s also competing in the Best New Musical category – one of the most highly anticipated awards. Though tickets are in high demand, you can try your luck in the £10 daily lottery. Or if you can wait for it, tickets are available for performances from August to December of this year. And of course, there are plenty of other wonderful London shows that are yet to be nominated for an Olivier Award. Find them and book tickets here. The following shows were still playing at the time of original publication, but have since concluded their runs. 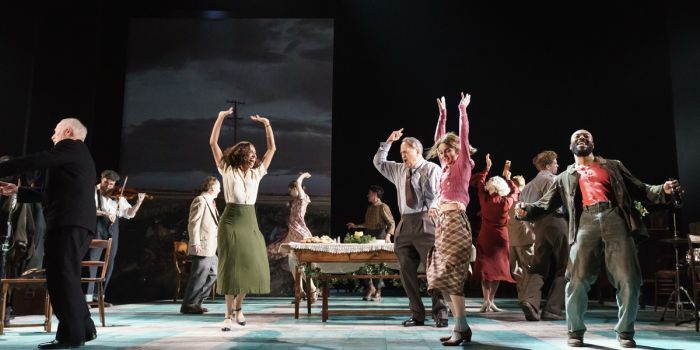 Conor McPherson’s critically acclaimed musical of hope, heartbreak and soul received 5 Olivier Award nominations. With a score penned by legendary sing-songwriter Bob Dylan, it’s no surprise its nominations include Best New Musical and Outstanding Achievement in Music. Girl From The North Country is set in 1934, and, in the midst of the Great Depression, a Minnesota family sits on a knife edge, their future indeterminate. Lost and lonely people drift through the rooms of their guesthouse, as the future of the community is uncertain and things start spiralling out of control. 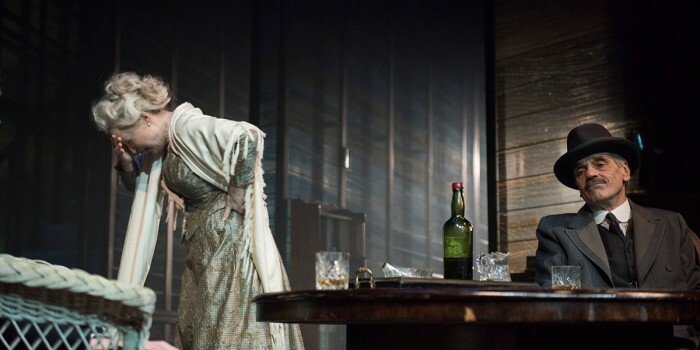 Girl From The North Country concluded its run on 24 March. The major revival of the Olivier Award-winning, smash-hit West End and Broadway musical launched the new Marble Arch Theatre last year. 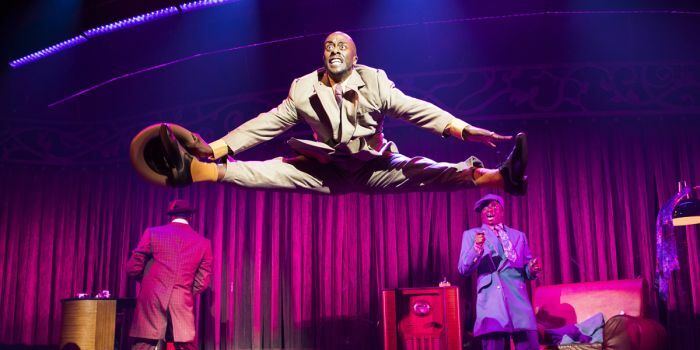 It’s since entertained thousands of people thanks to its uplifting soundtrack of soul, blues, gospel and r ‘n’ b, and is up for Best Family & Entertainment show. The story centres on Nomax – a man down on his luck. Newly single and broke, he’s drinking his sorrows away. But in a wild night he’ll never forget, Five Guys Named Moe – Big Moe, Little Moe, Eat Moe, Know Moe and Four-Eyed Moe – are on hand to help him party his way back to the straight and narrow. 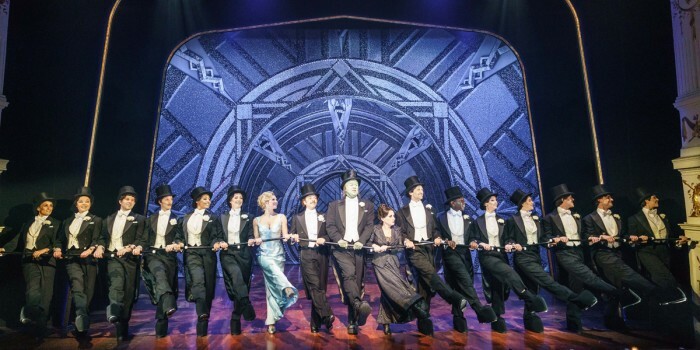 The high-octane show finished its Marble Arch Theatre run on 24 March. It’s been a spectacular year for new plays in London, and with four nominations, the National Theatre’s Network is certainly a strong contender to take home the Best New Play prize. 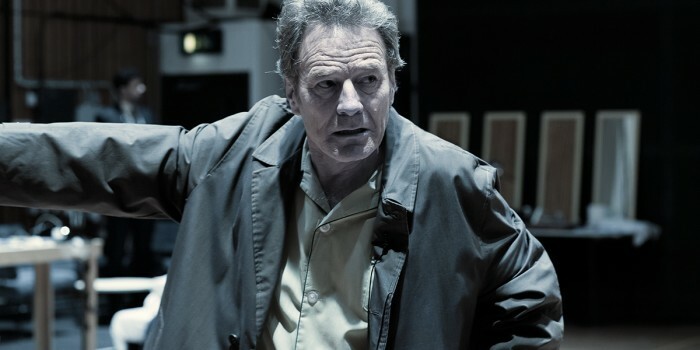 Nominated twice for its excellent design, its central performer Bryan Cranston (of Breaking Bad legend) was also recognised with a Best Actor nomination, marking a brilliant West End debut. He plays Howard Beale, a news anchorman who falls apart live on air – and unwittingly becomes the biggest thing on the airwaves. Network finished its run at the National Theatre on 24 March. 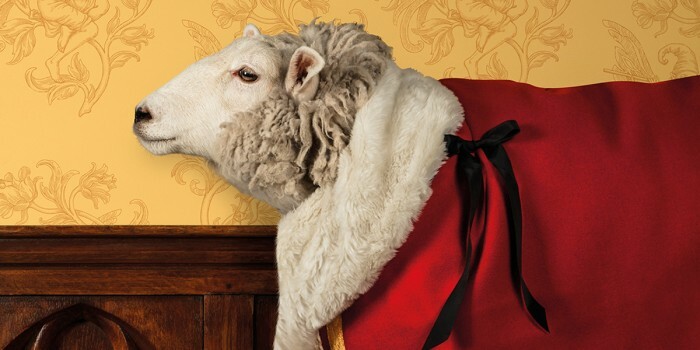 The topsy-turvy world created by Gilbert & Sullivan is brought to life in this brilliantly funny, satirical fantasy production by English National Opera. Telling the story of Strephon, an Arcadian shepherd, who wants to marry Phyllis, a Ward of Chancery. Phyllis doesn’t know Strephon is literally half fairy – his upper half is fairy while his legs are mortal – so when she sees Strephon kissing a seemingly young woman, she assumes the worst. However, little does she know that this young woman is actually Strephon’s mother, Iolanthe, a fairy; and fairies never grow old. Iolanthe concludes its run at the London Coliseum on 7 April.